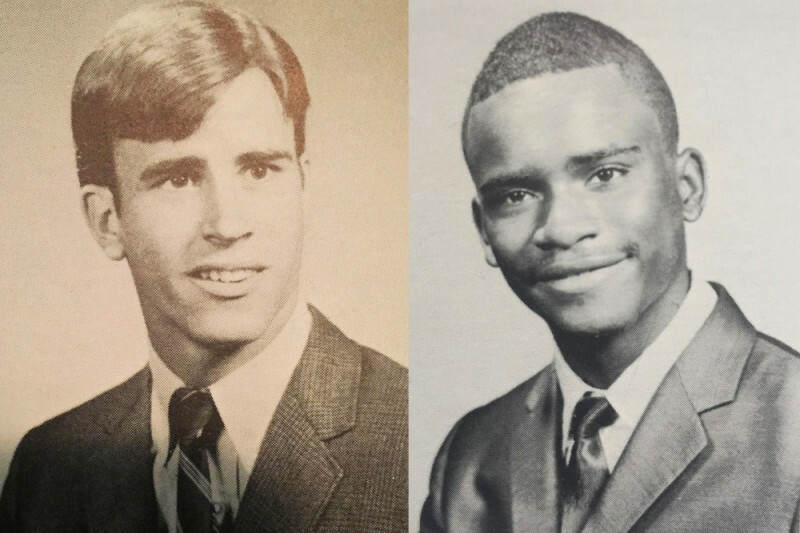 Kenneth Walker and Charlie Ball first met at Archbishop Carroll High School 53 years ago. But soon, they will be sharing more than just 4 years of great high school memories. 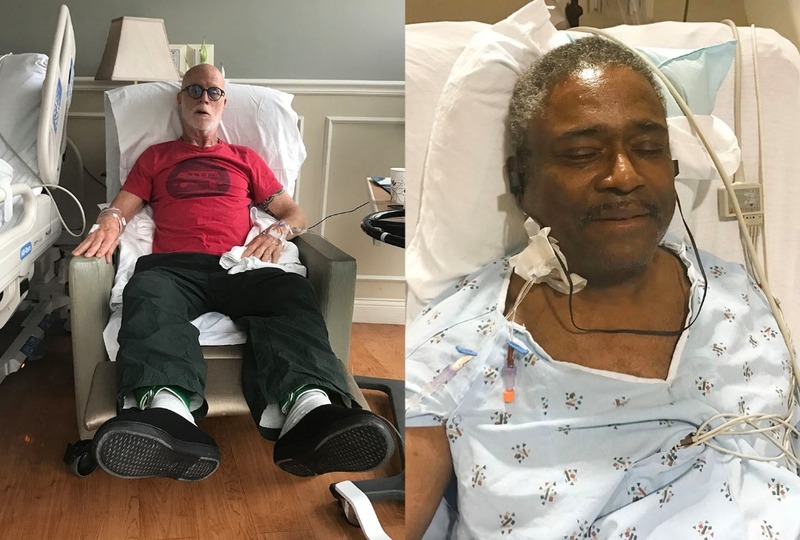 Ken has been in dire need of a kidney transplant for over a year-and-a-half, and Charlie has stepped up and has agreed to donate a kidney. He's been tissued-typed, and it turns out he's a match. Flying back and forth to GW Hospital here in DC from his home in California, Charlie will be incurring significant travel and other out-of-pocket expenses for multiple round trips, not to mention significant loss of income while he recovers from the procedure. Any donation, large or small, would be greatly appreciated. From a broader perspective, consider listing yourself as an organ donor on your driver's license, so that some day you can give The Gift Of Life to others. And please help to spread awareness on behalf of the 80,000 people currently on waiting lists for transplants. Wishing Kenneth and Charlie smooth sailing through all the testing, surgery and recovery. I for one was so moved by Charlie's generosity that I wanted to reach out and ask for your help on his behalf. MEDIA NOTE: Local WUSA9-TV news anchor Bruce Johnson told larger story in his 'Off Script' segment this past week. We visited The League of Distinguished Gentlemen last evening @ GWU Hospital, and am happy to report that both Donor & Donee are doing splendidly. They couldn't be more grateful for everyone's support. Keep the good vibes and good wishes coming if you please. Thank you to all our donors, large and small. Like Spiderman's dad told him, "With great power comes great responsibility." We've all been blessed with the gifts of a Carroll education or the gifts of friendship with one or more Carroll Lions – especially these two Happy Warriors, Kenneth and Charles. It's so great to see everyone keeping up with their Karma Bank deposits by returning some of that ACHS Good Will back to its roots – and helping to grow new branches that will reach up to God Knows Where. Wishing all the very best to our two superheroes as they bravely enter the surgical arena on Monday, April 16th. Prayers, good vibrations, and ultra-positive manifestations are all coming their way from here, there and everywhere. For those of you in the DC area this weekend who may not have heard, there will be a 5PM Mass at Carroll on Saturday the 14th, followed by a light meal and no doubt lots of frivolity, hijinks and general shenanigans – DESPITE the seriousness of the cause. shall be my brother . . . from this day to the ending of the world!" Thanks to everyone who has contributed thus far – we are off to a rockin' good start. Of course, we totally understand if you are unable to donate at this time. One other great way to help would be to forward this GoFundMe link to any friends or family members who might also be interested. No donation too small. ACHS '69 solidarity for over 50 years and counting – we all first met way back in September of '65. It's a beautiful thing.